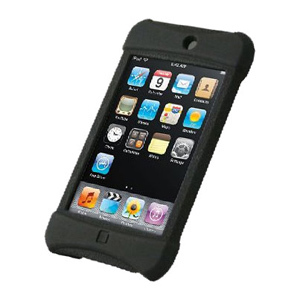 While it’s not quite as heavy duty as the OtterBox defender, the OtterBox Impact still provides high levels of protection when you drop your iPod touch. The Impact series case is a silicon skin that covers the back and corners of your phone, but leaves the volume controls, home button and headphone socket easily accessible. It has extra padding on the internal corners that will absorb impact energy and divert it away from your phone. Your screen isn’t covered though, so you’ll need to invest in an iPod touch Screen Protector.